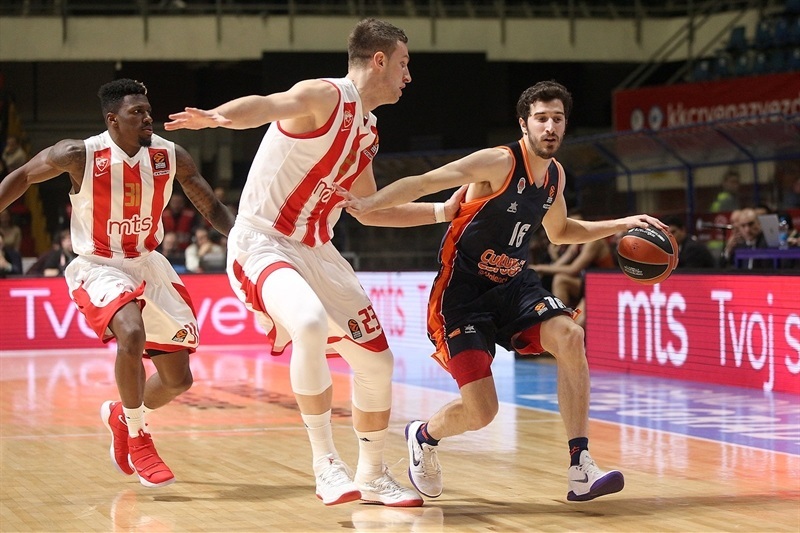 In a battle to avoid early elimination from the playoffs race, Crvena Zvezda mts Belgrade enjoyed a club-record offensive explosion while putting away visiting Valencia Basket 106-90 at home on Thursday. 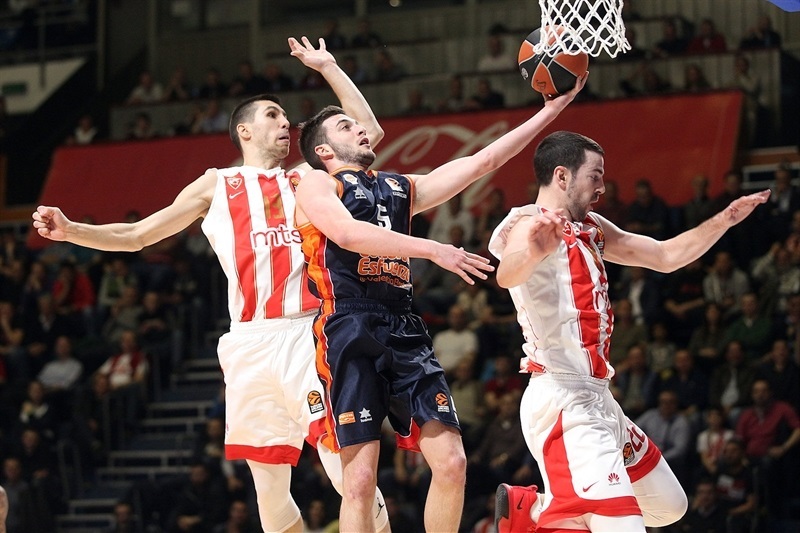 Zvezda improved to 11-15 and while Valencia fell to 9-17 and possible elimination later Thursday. 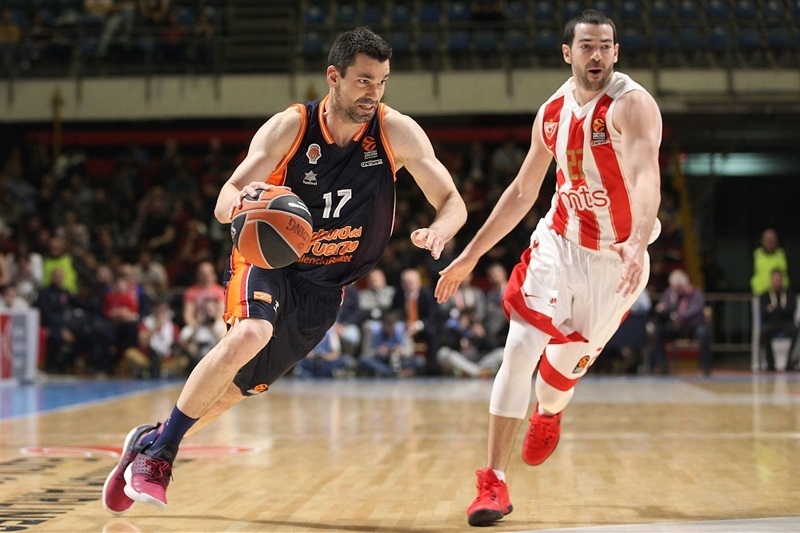 Those 106 points were 3 better than Zvezda's previous best, back in 2014, and follows on the team's second-worst offensive showing ever, just 54 points in a loss at FC Barcelona Lassa last week. 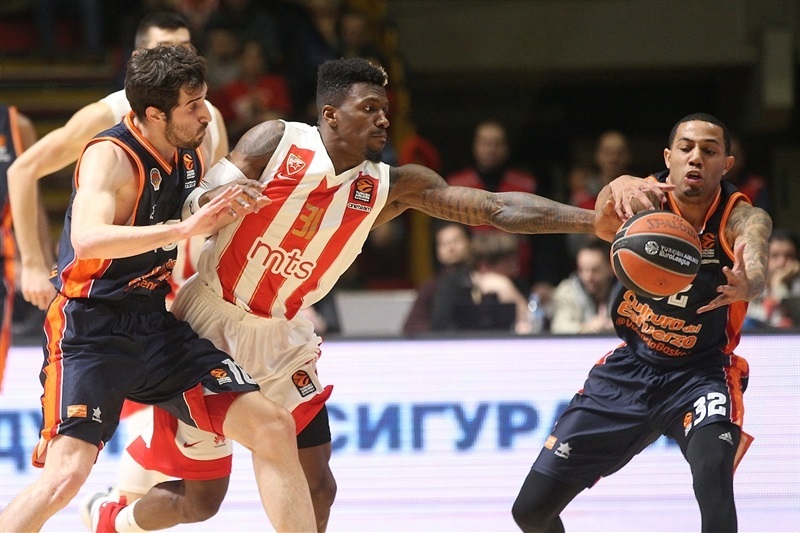 James Feldeine led the charge with a career-high 30 points, matching Zvezda's club record, while hitting 4 of the team's 13 triples and 10 of 11 free throws. Taylor Rochestie added 17 points and 5 assists, while Mathias Lessort had 16 and 7 rebounds. 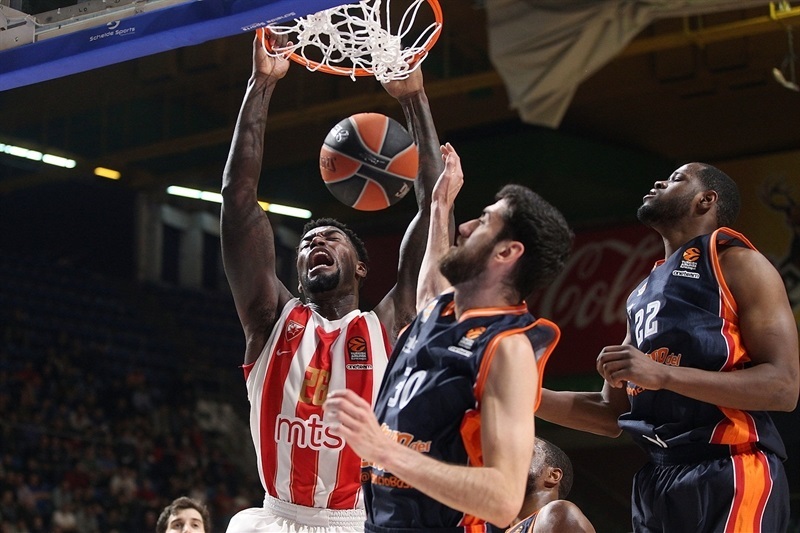 Milko Bjelica scored 12 points and Dylan Ennis 11 for the winners. Valencia got a career-high 22 points from veteran Rafa Martinez, 16 each from Joan Sastre and Erick Green, as well as 10 from Tibor Pleiss. 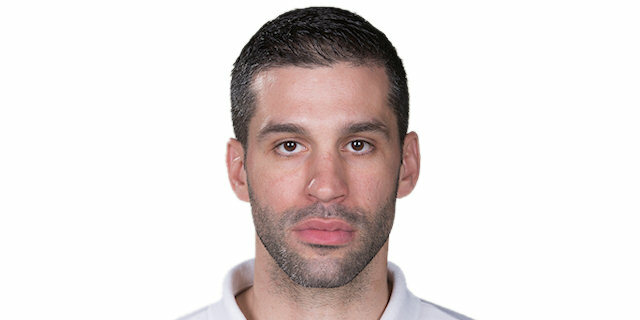 A face-up triple by Martinez and a driving layup by Dejan Davidovac were the first field goals for each team. 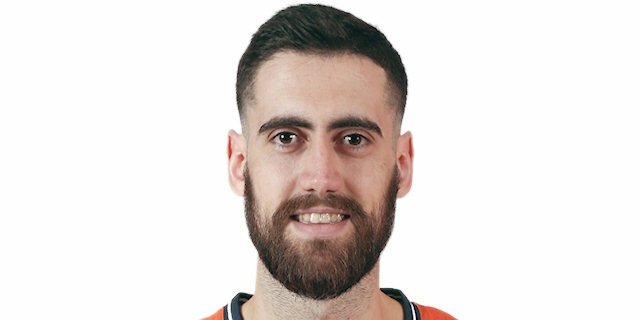 While Lessort detonated a dunk, threes continued to be Valencia's ticket, with two downed by Sastre and another by Martinez on the way to a 7-14 advantage. 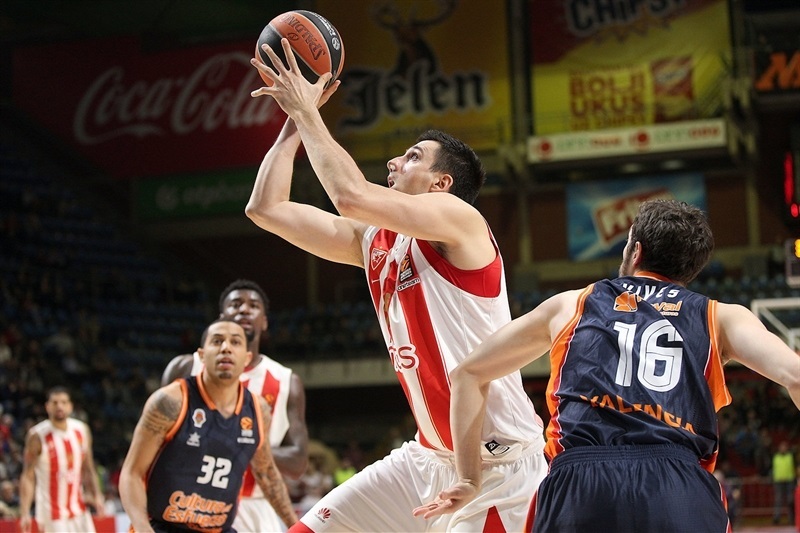 Stefan Jankovic steadied Zvezda with a tip-in. Pleiss got 3 points the hard way but so did Bjelica after Rochestie hit their team's first triple. Feldeine did the honors to tie it 17-17 on a fastbreak, but Green's free throws and Bojan Dubljevic's put-back kept the visitors ahead. With the help of Ongjen Dobric and 4 perfect free throws from Feldeine, Zvezda was able to tie it again, 23-23, after 10 minutes. 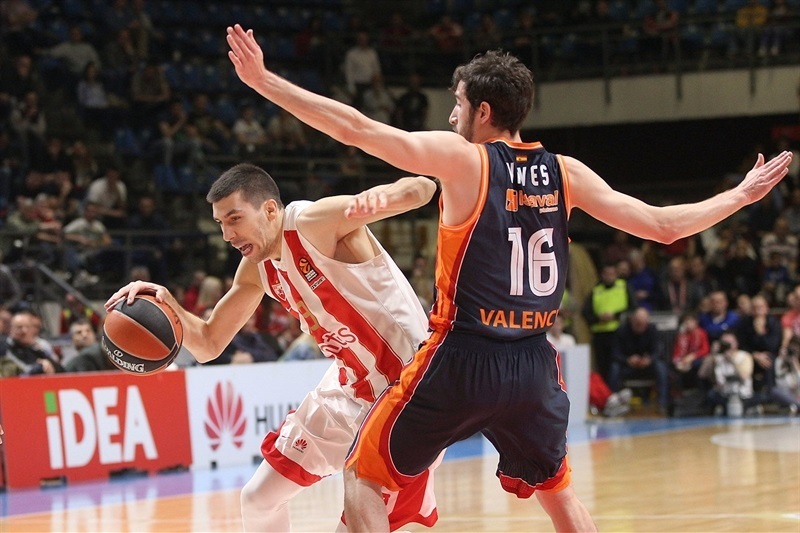 Ennis opened the second quarter from downtown and soon Dobric was swinging from the rim for a 30-23 Zvezda lead. Martinez returned to strike from deep and Alberto Abalde followed him with 2 in a row as Valencia suddenly re-took the lead, 30-32. Martinez had 6 points in a row after that for the visitors, but Lessort and Feldeine filled a 9-3 run for Zvezda to take back a 44-41 edge. Green combined 3 free throws with a baseline jumper for a new lead change, but Rochestie tied it and Feldeine's free throws changed it back to 48-46. Dubljevic tied on a tip-in before Ennis flashed for the go-ahead layup and a 50-48 halftime score. Sastre's third triple flipped the scoreboard before Lessort's three-point play flipped it back at 53-51. Pleiss scored in close and Will Thomas joined the visitors' three-point parade, hitting Valencia's 10th already. Rochestie and Martinez traded both two- and three-pointers in the span of a minute, leaving Valencia ahead 58-61. Martinez already had a career-high 22 points, but Bjelica and Rochestie combined on 6 straight to make it 62-61. 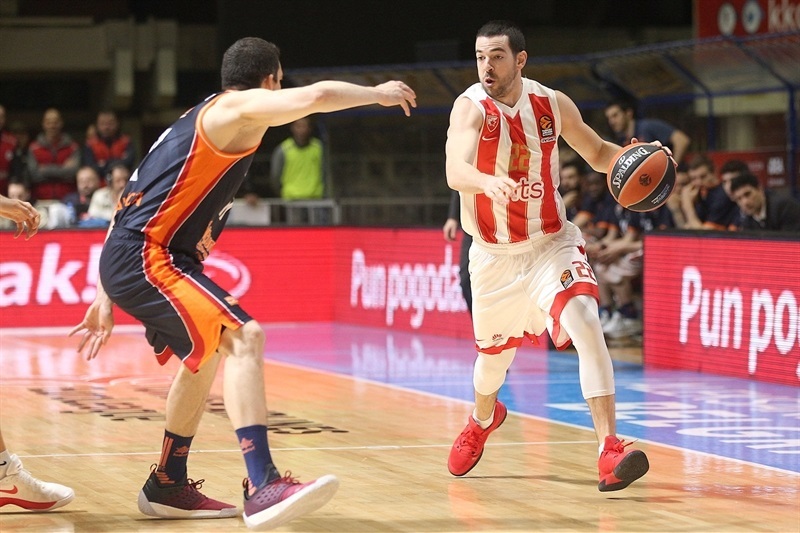 Feldeine and Rochestie kept Zvezda a step ahead at 68-65. 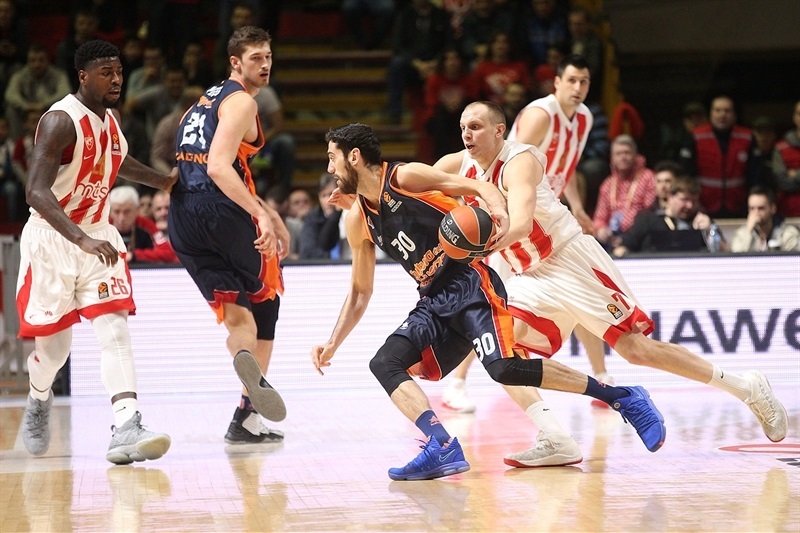 Dobric's spectacular chase-down block got a rise from the home crowd, but not as much as when Feldeine and Pero Antic buried threes in the last minute of the third quarter for the game's biggest lead by far, 79-67. Feldeine could not be stopped, and his next 2 three-pointers made it 85-69 with 7:45 left. Bjelica joined the fun from deep, with Feldeine and Ennis following him for a 20-point difference, 94-74. The only question left was how much more Zvezda could score, and the answer was 106 points, a club record coming one week after scoring barely half that. 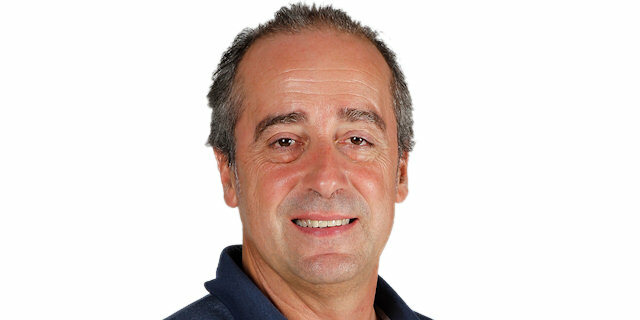 "We played with huge confidence. They took some very hard and open shots. 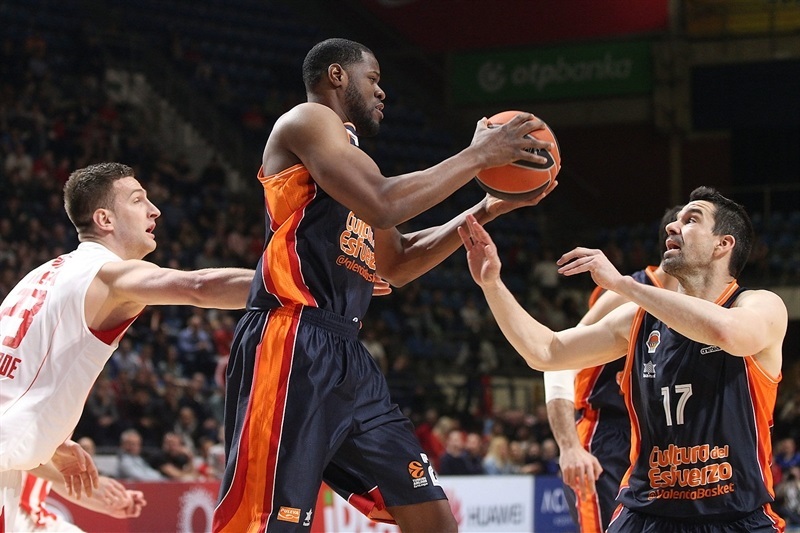 We improved our defense in the second half, so it was a very big and important win for us. This victory is all we need because we are still fighting for our fans. I have to say thank you to them for supporting us." "Sometimes, it's the other team that does things well. We played a very good first 20 minutes. We needed to improve during the second half with our percentage in the paint. We had good percentage from three, but we were very bad in the paint, where they scored well. Our defense was pretty good in the first minutes of the third quarter, but when we went to the bench, we lost our defensive rhythm. 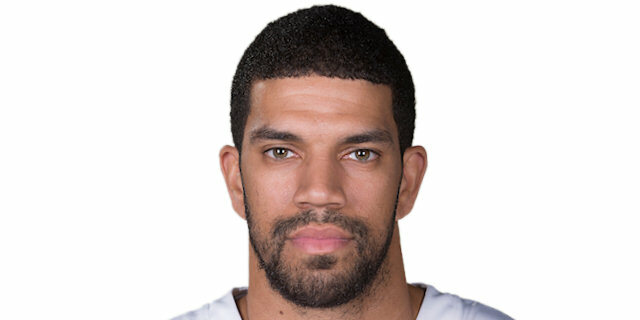 They had many options to go to the free throw line to open up the game, and with that difference they played a real nice last 12 minutes, with great percentage from the three-point line, and that was the key to kill the game." "I'm just happy we won. I came out and made a few shots and we won the game. I think we started tough after the break. In the first half, they made 10 threes. We didn't want to let them shoot open threes in the third quarter. That helped a lot, and in the fourth we played our basketball. We were running and we made a lot of open shots." "We were good for three quarters, then in five minutes they made every shot. The hit three-pointer after three-pointer, ran away by 20 points and there went the game. But we have to stay with the positive, the first three quarters, and try to improve on the fourth one."